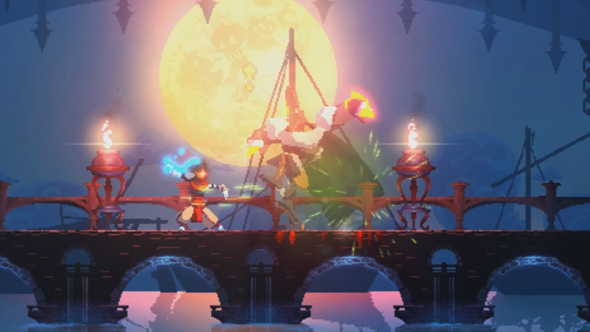 Today, Dead Cells may look like a Metroidvania drizzled in Dark Souls, but when it started out it was more like a tower defence game, melee weapons barely featured. Dead Cells is one of the best games on Steam at the moment but, if you’re looking for something else, we think these are the best games on PC. As the game became more action-oriented it needed more melee weapons. Rather than lift the system from Dark Souls, where you can spend currency earned in-game to buff and bolster your weapon’s strength, Motion Twin didn’t want players to hold onto the weapons but be encouraged and willing to change them for more powerful, differently-behaving ones. Players who try to stick with what they’re comfortable with will find the weapons are less effective as the difficulty and health of the enemies around them scale up. The power of weapons you find, even if they aren’t initially what you’d like to use, is a temptation to get you to change things up. There’s loads more information in the feature on Gamasutra, I recommend giving it a read – like how they made the weapons feel hefty and got the characters to move with a believable flexibility.